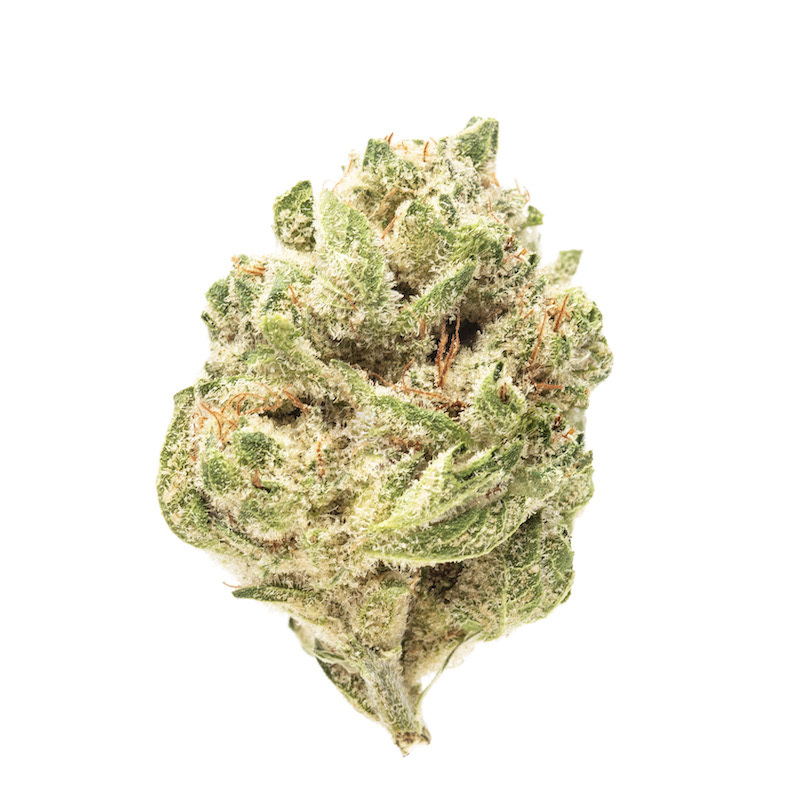 Bio-Jesus is the Indica-dominant strain you call on for high potency and supreme pain relief. 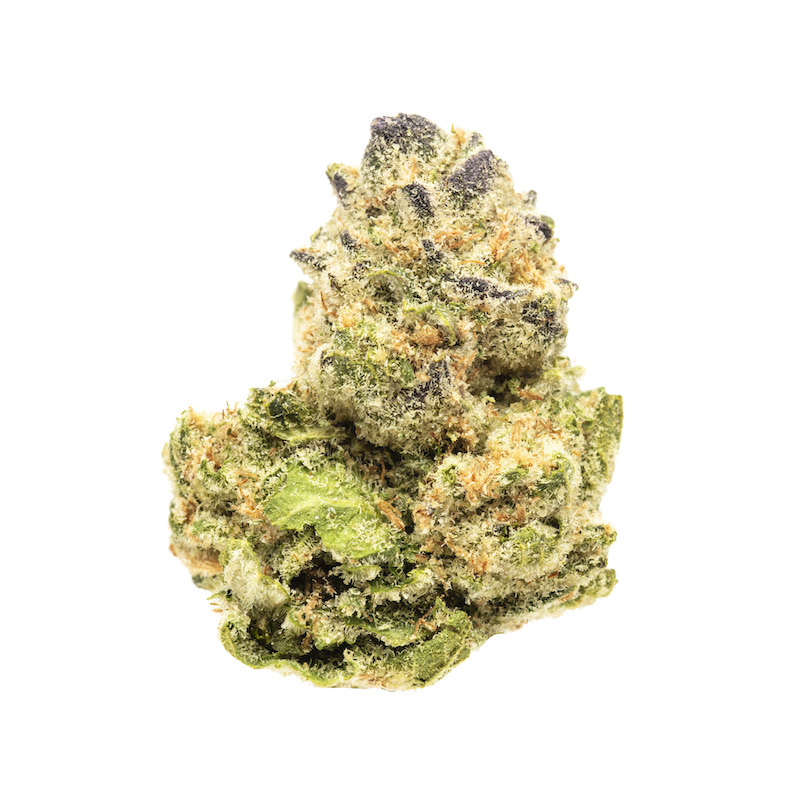 Nuggets are light green with a sprinkling of orange hairs, and heavily coated in frosty trichomes. 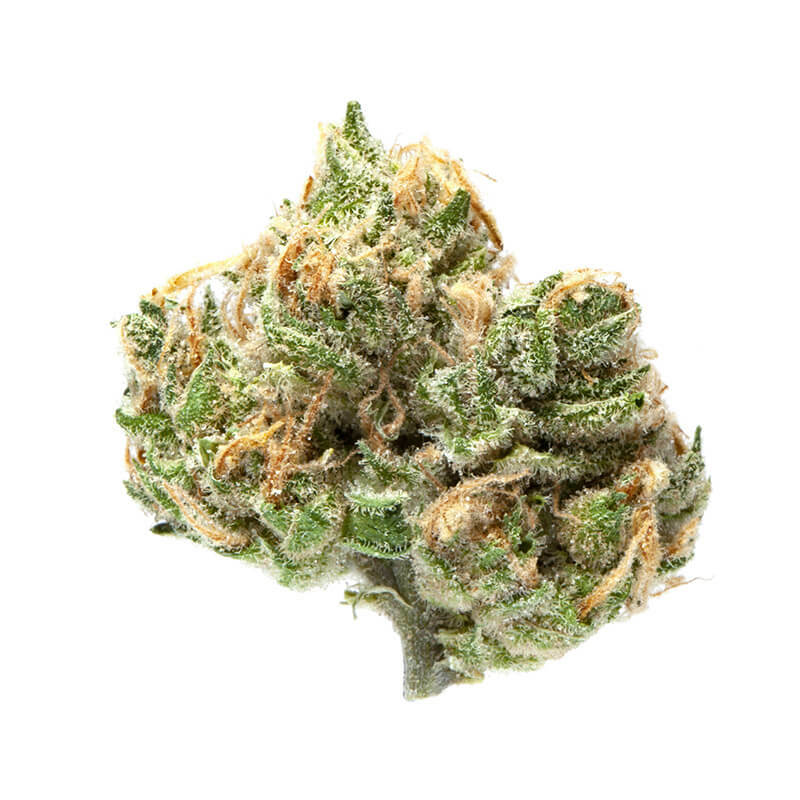 The aroma is a traditional earthy musk, with additional elements of diesel and pungence in the flavor of the smoke. 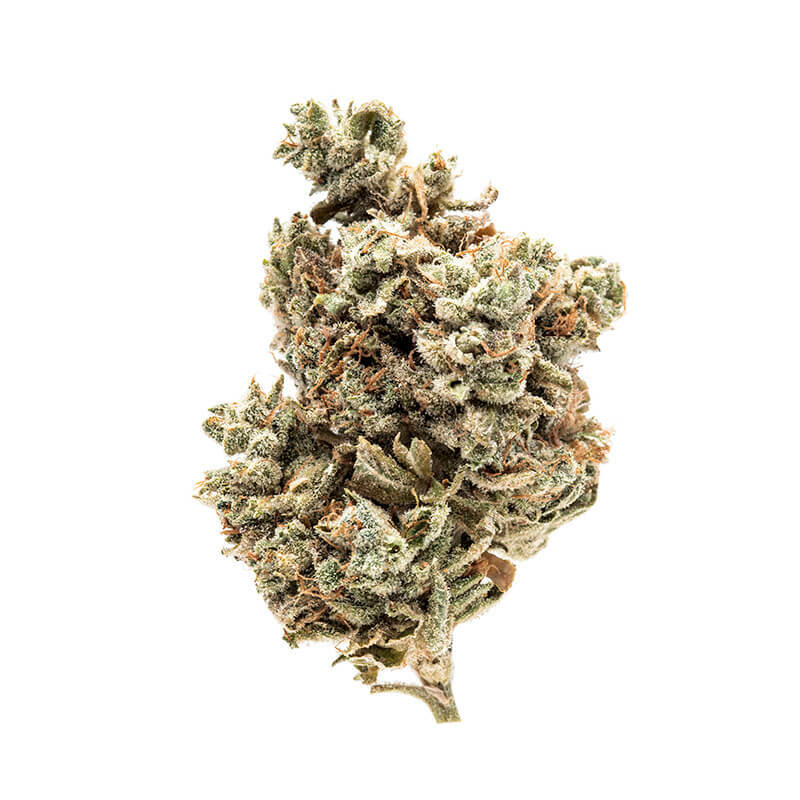 The average THC level is 26-30%, which indicates a heavy hitter. 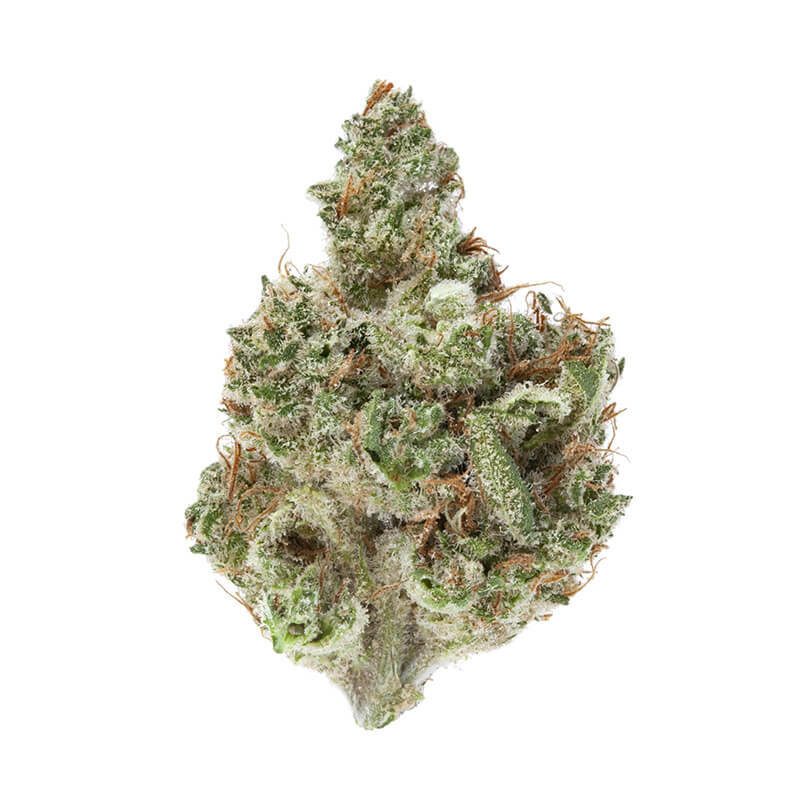 High opens with a slight cerebral component that is happy, elevating, and somewhat foggy. You’ll descend rapidly into an extremely calm and mellow physical state, with definite numbness and tingling. Potential for couch-lock is high, on the way to a very restful sleep. 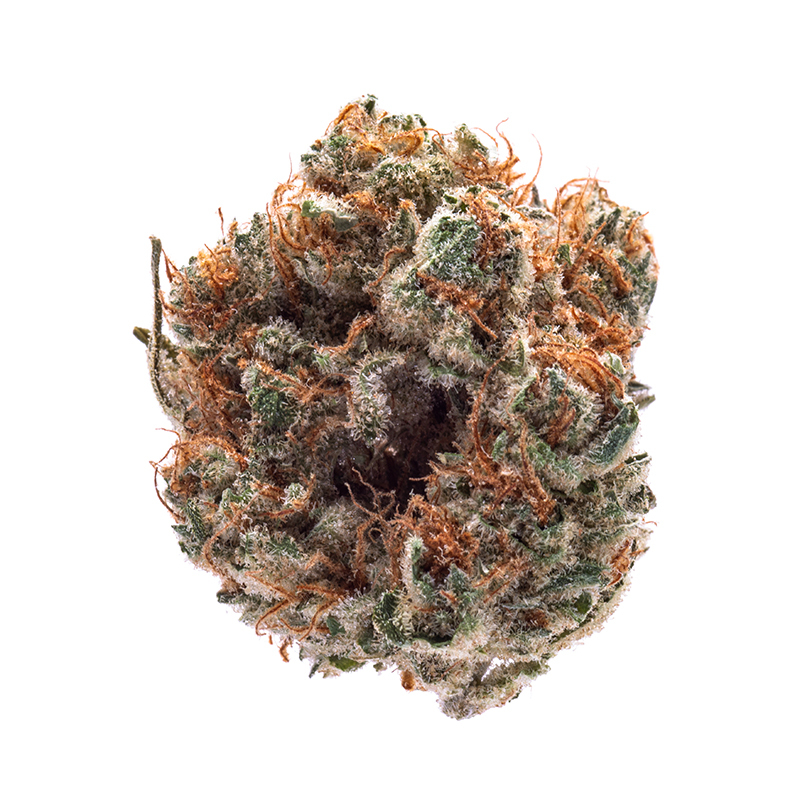 This strain is ideal for managing significant pain symptoms, as well as stress, anxiety, depression, and insomnia.